Located around 220 kilometres south of the capital Bangkok on Thailand's Southern Line, you will find the Hua Hin Railway Station, in the popular "Royal" beach resort of Hua Hin in Prachuap Khiri Khan province. 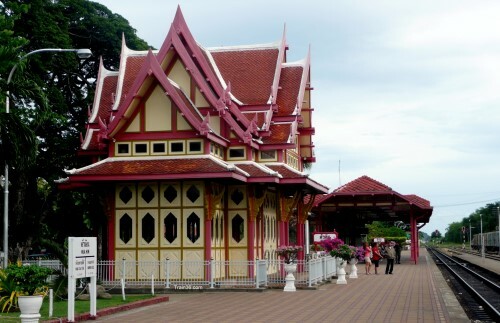 Considered by some to be the most beautiful railway station in Thailand, Hua Hin station is now one of the most popular tourist attractions of the city, with its Victorian / Thai style Royal Waiting Room (Phra Mongkut Klao Pavilion) which once used to welcome the Royal family on their visits by train from the capital. Today the station is a fairly busy place, with all trains heading south down to Hat Yai, Yala and into Malaysia, as well as all trains heading north to Bangkok, stopping off here. Most trains from Hua Hin to Bangkok go to the main railway station in the city, Hua Lamphong Station. From Hua Lamphong you can catch a train to most destinations in central, eastern and northern Thailand all the way up to Chiang Mai. 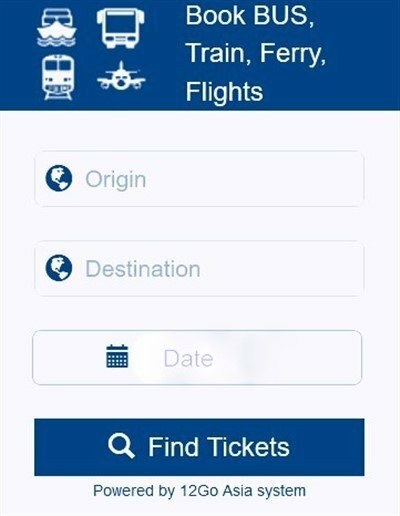 To save a little time, most trains also stop off at Bang Sue Junction Station, where you can make connections for trains heading north and north-east. A few trains a day go to Bangkok's Thonburi Station, which is the train terminal for the Eastern Line to Kanchanaburi and the famous "Death Railway". Heading south from Hua Hin, you can travel all the way to Butterworth Penang in Malaysia on the International Express Train, or use the train to get to popular Gulf of Thailand islands, like Koh Tao, Koh Samui or Koh Phangan. If you are coming to Hua Hin by train, the station is located right in the centre of the city where you will find the main beach and most of the nightlife. You can easily walk down to the beach in 5- 10 minutes or find somewhere to stay close by, with dozens of places to stay in this area of Hua Hin. When you come out of the station exit, walk straight ahead to the main road and the traffic lights. Cross the road here and continue straight ahead to get to the beach. If you don't want to walk, there are plenty of motorbike taxis or tuk-tuks outside the main entrance to the station. If you want cheaper transport, you will have to go down to the main road where songthaews go up and down the main Phetkasem Road taking you beach areas further away from the centre. Compare room rates for the cheapest deals. Pra Pokklao Road at the end of Damnoen Kasem Road.